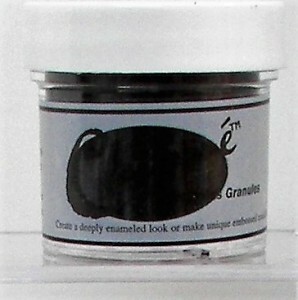 Woodburn your pattern on the gourd for the best results in showing the beauty of this embossing powder. 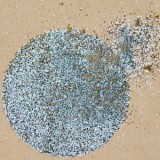 Heat activated glue is a must when you want embossing powder to adhere to your surface. Apply heat activated glue with a paintbrush to the detailed area of your pattern and heat set. Sprinkle the powder over the glue and tap off any excess powder back into the jar. Heat the powder until it resembles an enamel finish. You will need a crafting heat tool for this technique. The results are very attractive and it is the simple application to the look of an inlay affect. You may varnish over the embossing powder as you normally varnish your gourd when finished. This technique may be used with paper crafting, scrapbooking, on glass, and other surfaces. 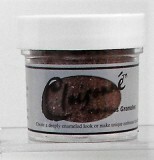 The powders can be mixed with each other to create your own color choice. © 2015 - 2019 Maria's Art Creations. All rights reserved.